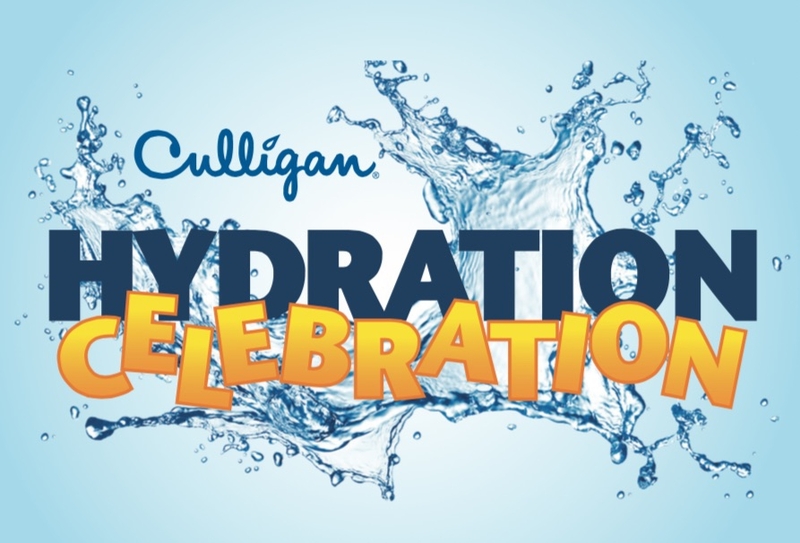 Beginning this May, Culligan will be kicking off it’s Hydration Celebration! What is a Hydration Celebration you ask? It’s Culligan’s way to raise awareness about the importance of hydration while offering the lowest prices of the year. If you were contemplating improving your drinking water or upgrading from the pitcher to a Drinking Water System, now is the time! As the weather warms up and the sun shines for more hours each day, now is the most important time to monitor your water intake and to stay hydrated. The warmer weather outside is going to take a greater toll on your body than the past cooler months have, so if you are partaking in outdoor activities like working in the yard, playing sports, or even just relaxing in the sunlight, hydration is essential. Hydration is necessary at all times of the day, at home, at work and on the go. Culligan offers ways to get and stay hydrated wherever you are. The best way to ensure that the water you and your family are imbibing to maintain proper hydration is the best it can be, contact your Your Local Culligan Man to test and assess the water that comes into your house. Your Culligan Man can also recommend the best solution to get you great-tasting water – whether it’s a Drinking Water System installed under your sink, or a Whole Home Water Filtration System. Endless supplies of filtered water from your professionally installed Culligan® drinking water system. Valuable refrigerator space freed up from pitchers and bottled water. Less fuel is required to manufacture bottles, which reduces greenhouse gases, and fewer plastic bottles end up in landfills. Great tasting, healthy water at the cost of only pennies per glass. Although hydration is important all year round, now is the most crucial time to stay hydrated with great tasting, healthy water. Just say, Hey Culligan Man!